Samuel Sheldon, AIEE President, 1906 - 1907, a physics and electrical engineering professor at Polytechnic Institute in Brooklyn, New York. While at the university, he expanded their laboratories to include physical, mechanical, and electrical engineering research. One of the foremost educators in the engineering profession, Dr. Samuel Sheldon, was enthusiastic in his devotion to the advancement of the electrical engineering profession, and in his unbounded faith in the future importance of the Institute. His unfailing support of every movement looking to the logical position of the Institute as the exponent of the highest standards of the electrical art, marked his development as a leader, not only with confidence in himself, but thoroughly appreciative of the work of his associates. Doctor Sheldon was born in Middlebury, Vt., on March 8, 1862, graduating from Middlebury College in 1883, and remaining there 2 years as instructor in mathematics; he received the degree of A.M. there in 1886. In 1888 he received the degree of Ph.D. at Wurzburg, Germany. During part of this time he was associated with Kohlrausch, the distinguished physicist, in the determination of the ohm as a unit of electric resistance, He was awarded the honorary degree of doctor of science from the University of Pennsylvania in 1906, and from Middlebury College in 1911. Doctor Sheldon went to the Polytechnic Institute of Brooklyn, N. Y., in 1889, after a year spent at Harvard University as instructor of physics, and was immediately honored with a full professorship in physics and electrical engineering in the newly organized department of electrical engineering. Although only 27 years old, he had a thorough command of his subjects, together with enthusiasm and energy, which he exhibited in the lecture rooms. In addition to having an analytical mind, he had an inspiring and sympathetic personality, which made him valued as a teacher, Under his supervision the shop, mechanical engineering, physical and electrical engineering laboratories were installed. Illness in 1909 necessitated a long vacation which he spent mostly in Europe, where he had an opportunity to visit the principal engineering schools. He returned to the Polytechnic Institute of Brooklyn, and was professor of physics and electrical engineering until the time of his death from Bright's disease on September 4, 1920. Doctor Sheldon was frequently called upon to give testimony in both the state and federal courts, and for many years following 1903 was an expert of the Swiss Department of Justice and Police. He also carried on an extensive consulting engineering practice in all branches of engineering. 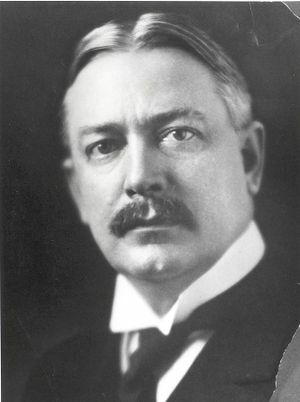 He served the Institute as manager for 6 years, and vice-president for 2 years, in addition to holding the presidency from 1906 to 1907. He had been chairman of the papers committee, 1902-06; chairman of the standards committee, 1907-08; chairman of the library committee for a number of years following 1910, besides serving on various other committees. Dr. Sheldon was a past-president of the New York Electrical Society and a member or fellow of a number of other technical and scientific societies including the APS, AAAS and the Brooklyn Institute of Arts and Sciences. He was the author and joint author of several college textbooks, had written a number of papers on various topics, and contributed extensively to encyclopedias and engineering handbooks. For several years following 1900 he was editorial critic for a publisher of technical books. This page was last edited on 14 February 2019, at 16:07.